SHARJAH, 12th January, 2018 (WAM) -- The fifth edition of the Sharjah World Music Festival (SWMF 2018) begins on Saturday with an opening act by Flamenco guitarist Vicente Amigo, at the Flag Island Amphitheatre. This will be accompanied by a free outdoor concert at two locations in Sharjah, the Al Majaz Waterfront and Al Qasba. 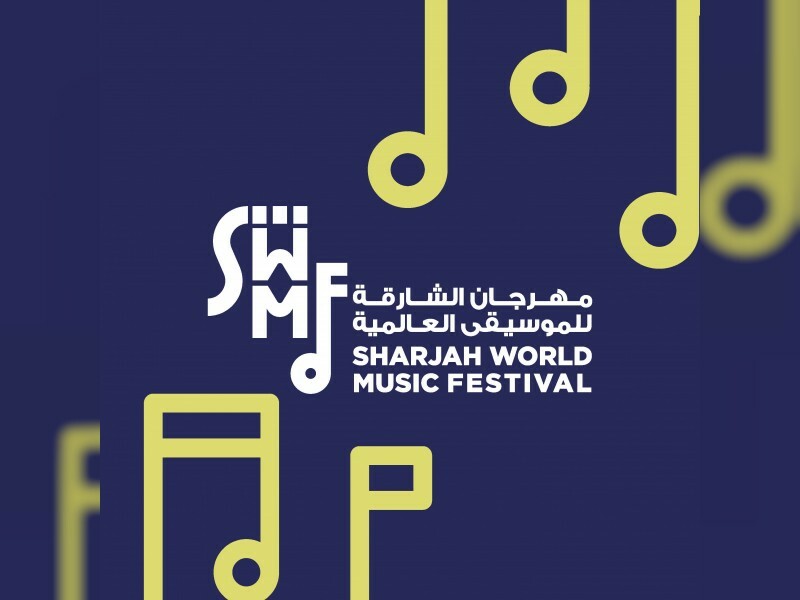 Running until January 19th, SWMF 2018 is presented by Sharjah Investment and Development Authority (Shurooq) in a strategic partnership with Sharjah Commerce and Tourism Development Authority (SCTDA) and Al Majaz Amphitheatre, and organised by Furat Qaddouri Music Centre. Vicente Amigo will inaugurate the fifth edition with a live performance, the ‘Andalusian Night’. The two free outdoor concerts are part of a weeklong presentation of complimentary musical performances that have been organised by the festival at the Al Majaz Waterfront and Al Qasba, which will be showcased every evening from 8:30-9:30 pm until January 19th. The first two of these will be performed Saturday night. Al Majaz Waterfront will welcome Iraqi composer, guitarist and songwriter, Saif Shaheen, known for his fusion of Eastern and Western melodies and his exploration of themes of belonging and estrangement. He incorporates a broad range of sounds in his work, influenced by acts such as the Beatles. Shaheen has six albums, including ‘Beloved’. Syrian artist Sara Al Houshi together with Ukrainian musician, Jenny, will perform ‘Harmony’ – an act that bridges Eastern and Western tunes, at Al Qasba. The audience will be stunned by the performance of Sara and Jenny who will blend Western and Arabic styles. On the sidelines of the festival, 12 young singers from different nationalities will be competing at the SWMF 2018 singing competition daily at 6:30 pm at the Masrah Al Qasba Theatre. On Sunday, the Flag Island Amphitheatre will host a tribute night dedicated to legendary Egyptian singer Abdul Halim Hafez, starting at 9pm. It will feature three Egyptian artists, Ahmed Effat, Mai Hassan and Mohammed Metwalli, who will be accompanied by the Cairo Opera House Orchestra conducted by maestro Mohammed Ismail Al Mouji. The outdoor concerts on Sunday will bring Saif Shaheen to perform for the Al Qasba audience, and Al Majaz Waterfront will showcase a fabulous tango performance by the Argentinian trio; Flor Milagros, Matej Sodja and Diana Radzhabaeva who will present a mix of song, dance and acting. The one-week event brings together a stellar array of singers and musicians from 11 Arab and foreign countries, including Egypt, Syria, Lebanon, Iraq, Kuwait, Spain, Argentine, Ukraine, Hungary, and others The artists will be performing at four venues in Sharjah – Al Majaz Amphitheatre, Al Majaz Waterfront, The Flag Island Amphitheatre and Al Qasba. Tickets for the five ticketed concerts out of the 14 that will take place during SWMF 2018, are available online at www.ticketmaster.ae. They can also be purchased at customer service counters at Masrah Al Qasba Theatre, The Flag Island Amphitheatre, Al Majaz Amphitheatre and Al Majaz Waterfront. By organising this first of its kind festival, Furat Qaddouri Music Centre seeks to boost the cultural and art presence of Sharjah and the UAE on the global arena. It also aims to introduce the world’s various musical cultures to the UAE community and add a new gem to the emirate’s rich portfolio of tourist, artistic and cultural attractions.